Viezu is excited to announce an extensive new range of tuning and styling packages available for Land Rover vehicles online at the Viezu Store. 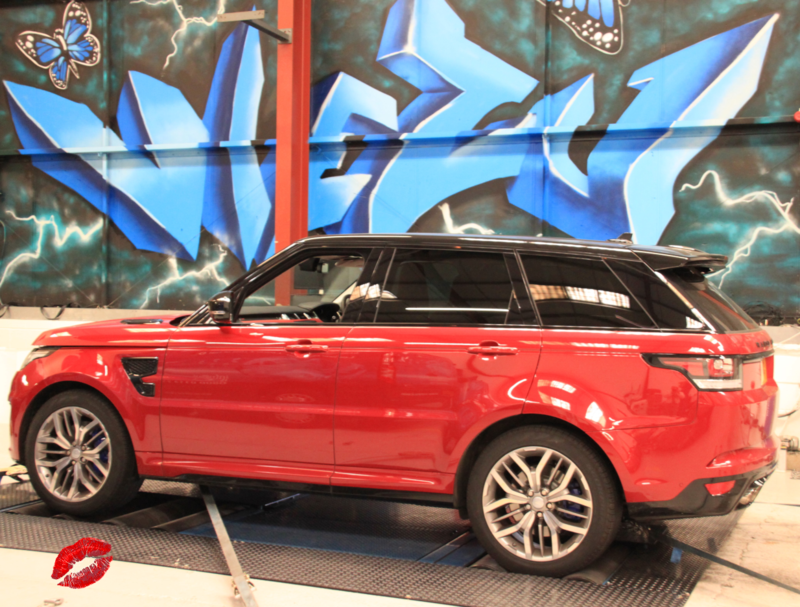 The Land Rover Discovery and the Range Rover 4.4d have both been treated to two levels of tuning and styling. The first level is a Land Rover Discovery performance ECU remap or Range Rover 4.4d performance ECU remap, which have been designed to offer substantial improvements in both power and torque. These exciting improvements are also available on our home tuning tool, the V-switch, allowing you to tune your Land Rover Discovery or Range Rover 4.4d’s ECU whenever you want to. The second level of Land Rover Discovery and Range Rover 4.4d tuning adds a high performance air filter to the performance ECU remap, which aids airflow through the engine and really brings to life the ECU remap, and will completely transform your vehicle. A range of accessories are also available online in the Viezu Store. The Range Rover 5.0 and the Range Rover Evoque have three levels of tuning and styling package available in the Viezu Store. As with the other packages, the first level is a performance ECU remap which will really boost your Range Rover’s power and torque. Building on this is the level two package, which for the Range Rover 5.0 adds a smaller, uprated supercharger pulley, while for the Range Rover Evoque a high performance air filter is added. The smaller and lighter pulley changes the gear ratio, increasing the boost and providing a broader and more driveable torque in the mid-range, while the Range Rover Evoque’s high performance air filter brings the software upgrade to life by aiding airflow through the engine. Finally, level three builds on the offerings from package one and two by adding a cat back exhaust system. This lighter exhaust system provides more efficient cycling of exhaust gases through the engine, while improving throttle response and enhancing the sound, and beautifully compliments the Range Rover performance ECU remap. To find out more about how Viezu can help boost the power, performance and styling of your Land Rover or Range Rover, please click here, call us on +44 (0)1789 774444 or email info@viezu.com and one of our team will be happy to advise you.